The snow piles up every winter. Driveways are buried in feet of snow, and snowplows push even more heavy snow onto your driveway just after you’ve cleared it. We all know how long it takes to clear that pile. But what about the fire hydrant that is near your house? What if the fire department needed it to put out a fire in your home? Can we spend precious minutes trying to find, and then clearing access to a hydrant while a house is burning? 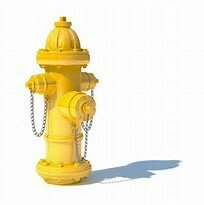 We need everyone’s help to make sure that hydrants are accessible throughout the area. For all fire hydrants, please help us help you by clearing at least three feet around it, and clear a small path to the street after heavy snowfall.